What Next | Daily News and Analysis | Listen Free on Castbox. What is Washington to do with a report that is damning, but doesn’t condemn? Slate’s legal team takes a look at the case made by Special Counsel Robert Mueller. Guests: Dahlia Lithwick, Jeremy Stahl, and Mark Joseph Stern. 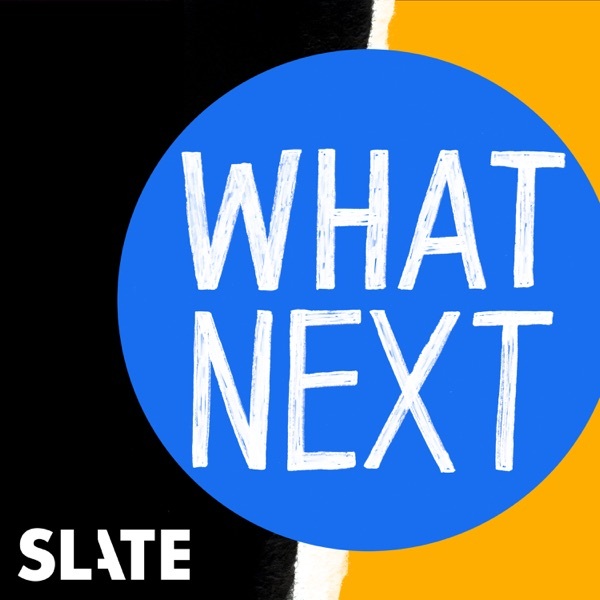 Tell us what you think by leaving a review on Apple Podcasts or sending an email to whatnext@slate.com. Follow us on Instagram for updates on the show.Podcast production by Mary Wilson, Jayson De Leon, and Anna Martin. The new head of the Department of the Interior has close ties to industry and a penchant for relaxing environmental regulations. He’s also the subject of an ethics investigation. Interior Secretary David Bernhardt represents a new phase in the Trump administration: the shift from a cabinet of flashy, venal outsiders to savvy, ideological insiders. Guest: Lance Williams, senior reporter for Reveal and the Center for Investigative Reporting. Podcast production by Mary Wilson, Jayson De Leon, and Anna Martin. How did a March speech by Rep. Ilhan Omar get shrunk down to a single phrase and turned into an attack on her character?Guest: Aymann Ismail, Slate writer and host of the upcoming podcast, Man Up. Podcast production by Mary Wilson, Jayson De Leon, and Anna Martin. To understand what’s happening on the border, you have to look at the policies and leaders on both sides of it. So, how has Mexico, under its new president, Andrés Manuel López Obrador, changed its approach to refugees and migrants fleeing north? And how has the Mexican president changed, himself?Guest: León Krauze, columnist for Slate, co-host of Trumpcast, and news anchor for Univision.Tell us what you think by leaving a review on Apple Podcasts or sending an email to whatnext@slate.com. Follow us on Instagram for updates on the show.Podcast production by Mary Wilson, Jayson De Leon, and Anna Martin. Bernie went from virtual unknown in the 2016 election to front-runner with the highest campaign contributions in the first quarter of the 2020 race. And while some things have changed since he last ran four years ago, a lot about his campaign looks pretty much the same. Do voters appreciate someone who sticks to the issues? Or will Bernie’s resistance to getting personal hurt him this time around? Guest: Slate politics writer, Jim NewellPodcast production by Mary Wilson, Jayson De Leon, and Anna Martin.This episode is brought to you by Gobble. Get 6 meals for just $36, plus free shipping, by visiting gobble.com/whatnext. Nogales is the biggest port in Arizona, and has been a focal point of Trump’s increasingly aggressive tactics on the border. How do the president’s efforts to shut down the border change a place like Nogales? Note: We first aired this episode on February 2, 2019. Guest: Mayor of Nogales, Arturo Garino.Tell us what you think by leaving a review on Apple Podcasts or sending an email to whatnext@slate.com. Follow us on Instagram for updates on the show.Podcast production by Mary Wilson, Jayson De Leon, and Anna Martin. Stephon Clark was shot and killed by police officers in his grandmother’s backyard on March 18th, 2018. He was black. He was unarmed. Last month, the Sacramento DA decided not to press charges against the two officers who fatally shot Clark citing an honest and “reasonable” threat to the police officers' safety. In California, and across much of America, the word “reasonable” is enough to get officers off the hook when deadly force is used. Will the California state Legislature change that?Guest: Laurel Rosenhall, reporter at CALmatters and host of Force of Law, a narrative podcast series following the debate in California on the use of deadly police force.Tell us what you think by leaving a review on Apple Podcasts or sending an email to whatnext@slate.com. Follow us on Instagram for updates on the show.Podcast production by Mary Wilson, Jayson De Leon, and Anna Martin. Ismail is probably right about the efficacy of reaching out to haters and other confused people. I am not Muslim but I am African American. bigotry burrows deep inside. it lives in a place that resists education and transformation. this is not to say that reaching out is pointless; rather, it only works where there a modicum of curiosity and willingness to change exists in the other side and it does very little to counterbalance the widespread systemic bigotry. oops. Jamelle lost me when he suggested that opposition to busing equalled opposition to integration. makes me wonder how old he is. I'm a black senior citizen who was one of the first to integrate schools in the small Midwestern town where I grew up AND was vehemently opposed to busing when it started decades later. careful with your assumptions young man. listening to this fills me with hope. what a great teacher! what a courageous and brilliant young woman!